Inbound marketing - what marketing tactic is most overrated? 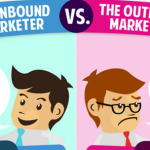 Inbound marketing vs Outbound marketing – who’s the boss now? Hubspot recently published the results of their 2015 State of Inbound report. One of the most intriguing nuggets to emerge, was the source of apparent universal agreement amongst the marketers of the world. So, what is the marketing tactic that least justifies its place in the modern marketing tool kit, according to the 4000 or so marketing professionals surveyed by Hubspot? Broadly speaking, it’s all things outbound that get the thumbs down. Traditional paid media channels – until a few short years ago, the mainstay of any credible marketing campaign – are now viewed with a weary disdain. We’re not ones for building the suspense, so let’s cut to the chase. We love inbound. In this digital age, inbound marketing has established itself as the premium means of getting new customers, and keeping them. On reflection, it’s not hard to see why this approach resonates so much better than that old boss, outbound marketing. Rather than paying to hit a target audience with a message, and hoping that some of them will want whatever it is you’re offering them (push), inbound is all about giving people quality, useful and relevant content, and therefore attracting qualified prospects to you (pull). What’s not to like? Content is king, right? Everyone says so. But, in the case of inbound, why so? Various studies have sought to measure how many ad exposures we are subjected to on an average day. Estimates vary wildly depending on who you wish to believe. 3,000? 20,000? Whatever the true figure, what is not in doubt is that this interruptive and intrusive approach to marketing has reached saturation point – hence, the rapid rise of ad avoidance tactics, and the increasing use of ad blocking software by savvy consumers. Simultaneously, the exploding digital ecosystem has placed the consumer at its centre. Consumption of content is now completely on the individual’s terms. We consume what we want, when we want, however we choose. So, from a marketing perspective, the old outbound ways just don’t work like they used to. To market effectively in 2015 and beyond, businesses have to produce great content. They need to create whatever it is that their desired customers want at that particular point of their path to purchase. In doing so, you are creating a route for a highly qualified set of prospects to come to you – because they want to. They find you because you have a solution to their ‘pain’ or problem. And, of course, that want or need may simply be information whilst they’re in a “research period” – not every Google search shows commercial intent, but that doesn’t make it one that’s any less valuable. We prefer those here at Saucy Horse. After all, if you can find your potential customer whilst they’re still making a decision, you’re in with a shot of nurturing a relationship that will lead to the sale. Inbound success – which bits are you missing? The beauty of an inbound marketing approach is that the journey doesn’t, or shouldn’t, end when you get quality traffic to your site. The inbound tool kit gives you the means of pro-actively instigating and managing a process that sees strangers become visitors, visitors become leads, leads become customers, and customers become loyal advocates At Saucy Horse, we have a four-part mantra that we chant throughout this process (usually in our heads, rest-assured), – ‘Attract, Convert, Close, Delight’. An effective blogging strategy and SEO is key at the attract stage. As is making your shop window – your website – optimised and relevant to your desired customer and prospect. Because you are putting out quality, highly sharable content, you’ll be getting the traction you need on all relevant social platforms. Next, you’re looking to convert visitors into leads. This means strong calls to action, delivering via clear landing pages, and efficient data capture through online forms. Effective CRM and email marketing are vital when looking to close those leads and create new customers. Finally, you are seeking to delight each customer, increase customer retention and extend their lifetime value to your business. So, you’ll be utilising smart, tailored content, social monitoring, and surveys to truly understand what your loyal customers want and need, so that they in turn become valuable promoters of your business. 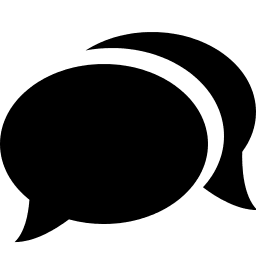 Inbound marketing – powerful, proven – see our inbound marketing case studies, versatile, and most definitely not over-rated! If you’d like to speak to a team of digital maketing specialists about making inbound work for your business, we’d love to hear from you.